Manufacturing and Trading of Industrial Machines and Plant. We are backed by a trained team of professionals, who have vast experience in their respective domains. 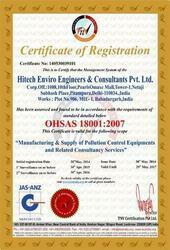 Our professionals’ works in the most unified manner to carry out the entire processes in a smooth manner. In order to ensure hassle-free business operations, we have divided our team into various sections manned by skilled professionals. Our team comprises of engineers, technocrats, quality analysts, market researchers and sales and management staff. They are highly dedicated and work round the clock to fulfill the set organization’s goals within short span of time. The skills of the team enable us to offer the best range of products with complete satisfaction. Being a client centric organization, we emphasize on each and every need of our valuable clients. We leave no stone unturned to meet the diversified requirements of our clients. 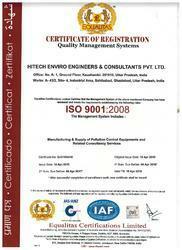 In order to, maintain high quality standards, we are ISO 9001:2008 certified company which follow stringent quality policy. We consider quality as a core component for the success of our organization and for this we have implemented many strict quality control measures. Our machines are manufactured in compliance with international quality standards using best quality raw material sourced from the trusted vendors of the industry. Further, these machines are strictly monitored by our quality controllers on various industry parameters to ensure quality. With our quality assurance policy and client centric approach, we are able to satisfy our clients by offering them a high quality range of Industrial Machines and Plants. Our well integrated infrastructural facility is installed with all kinds of machines as well as equipment that help us in meeting ever changing requirements of our customers. Further, our infrastructure also comprises several other departments like R&D, quality testing, storage, packaging, managed by skilled personnel who are expert in their domains and comprehend the importance of client satisfaction in business. They personally interact with our customers to clearly understand and cater them the best quality machines as per their needs. Our excellent production facilities help us move ahead and enable us in providing best in class range of high precision Industrial Machines and Plants to our esteem clients.